For those who wish to subscribe to MYTHIC in print and digital, we are now offering three different ways to get MYTHIC. Any of these options will help us to keep bringing you great science fiction and fantasy stories every quarter so please join us. All subscriptions begin with the most recently published issue. One-Year Print Subscription - U.S.
All eBook subscriptions are delivered to the email address you provide. 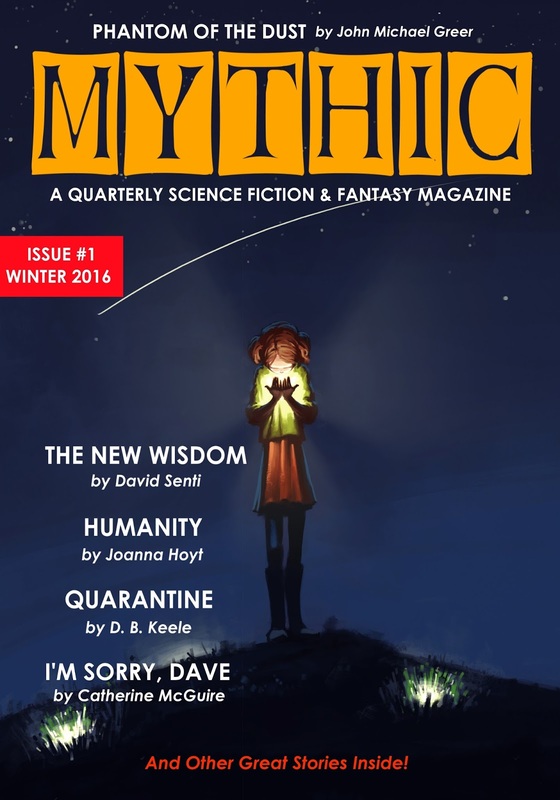 You will receive a download link and a code to get your issue of MYTHIC from our Payhip Store. Issues are available in PDF, EPUB, and MOBI formats. We have a Patreon page for the magazine and offer not only ongoing subscriptions to MYTHIC as long as you remain a patron, but exclusives, behind-the-scenes info, cover reveals, giveaways, advance notice of new features and events related to MYTHIC, and more. With your help we are making a better magazine, paying our authors, and working towards even bigger goals. Join our community on Patreon. Check out what rewards you receive for different pledge levels.